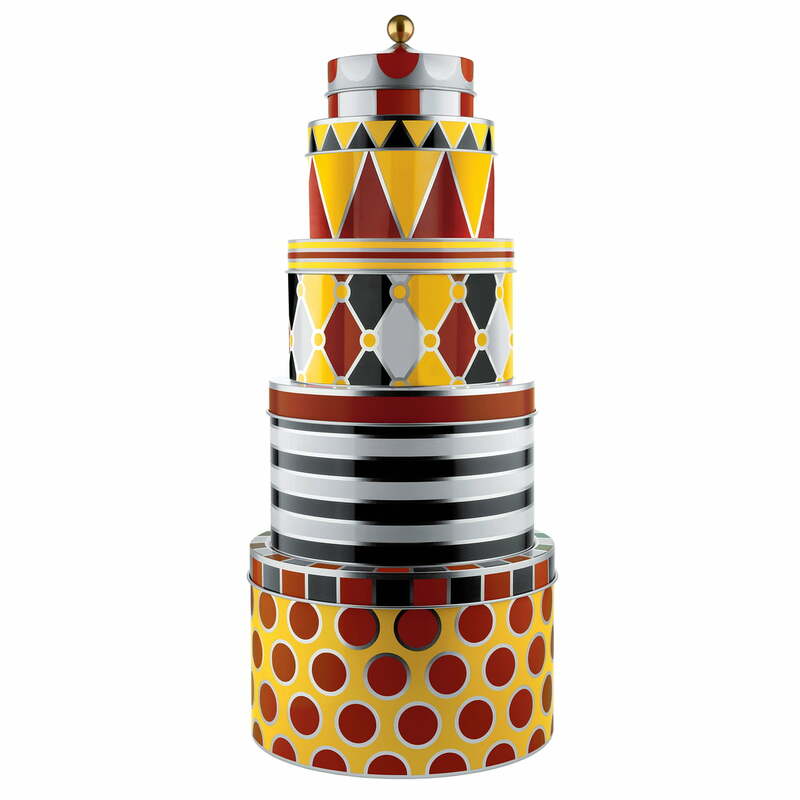 The Circus all-purpose boxes by Alessi are practical storage tins that conjure up a smile thanks to their colourful and detailed patterns. Coming in various sizes you can keep sweets and biscuits in the metal boxes as well as other odds and ends in the kitchen, in the living room or nursery. 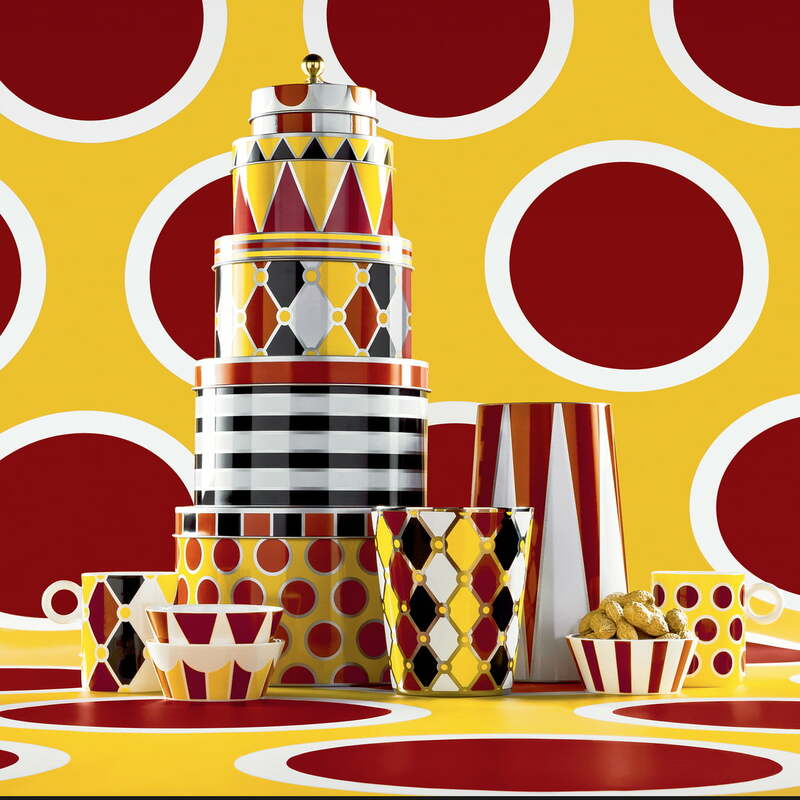 The all-purpose boxes with different patterns and colours belong to the exclusive Circus collection by Alessi, which was created in close collaboration with Marcel Wanders. It is a series which reinterprets everyday forms in a creative and innovative way with the help of bold colours, thereby creating products that stand out and surprise. The spectacle and the uniqueness of the circus can be found in the collection. 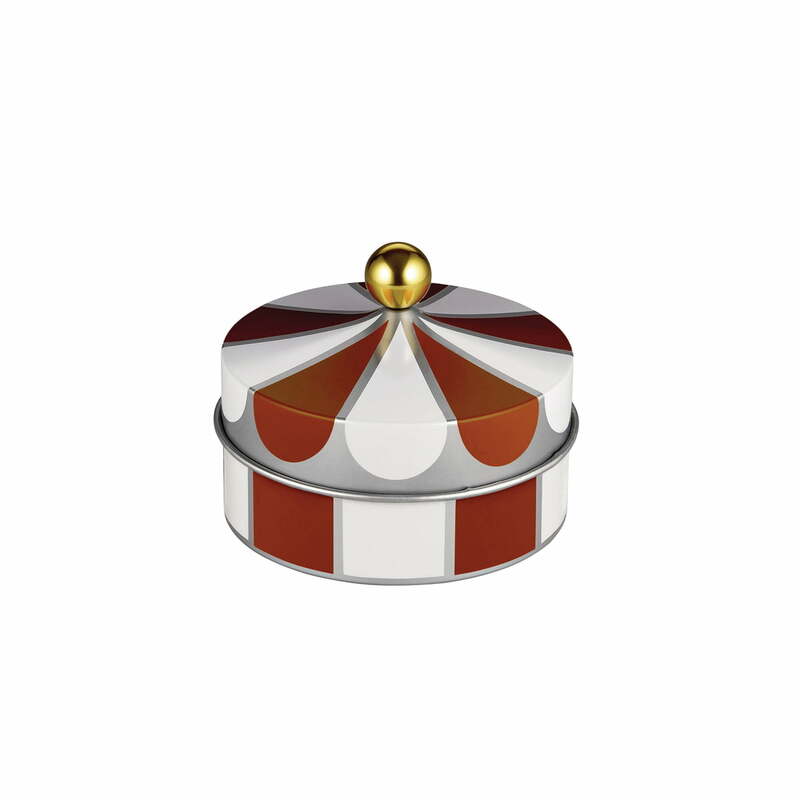 Product image of the Circus all-purpose boxes set of 2 by Alessi. 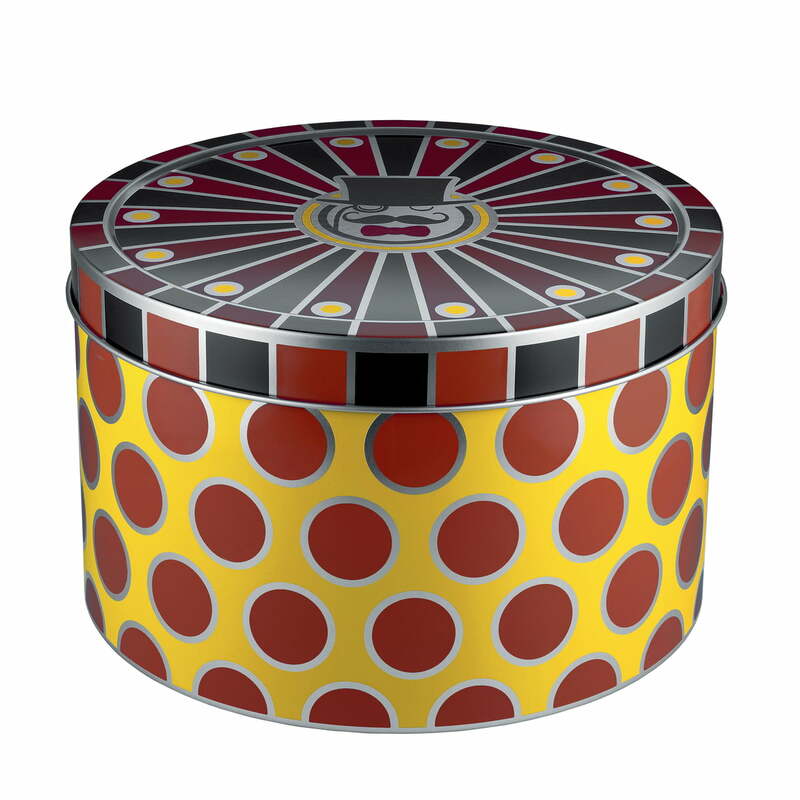 The Circus set of 2 consists of two different sized boxes made of tinplate with colourful patterns. The boxes are suitable due to their different sizes for spices, potatoes, cereals, flour and sugar in the kitchen and for smaller items and accessories in the entire home. Also in the children's room, the all-purpose tins can be of service. Product image of box 3 from the Circus all-purpose boxes set of 3 by Alessi. The series reminds of the classic carousels that are sometimes still on fun fairs or carnivals. 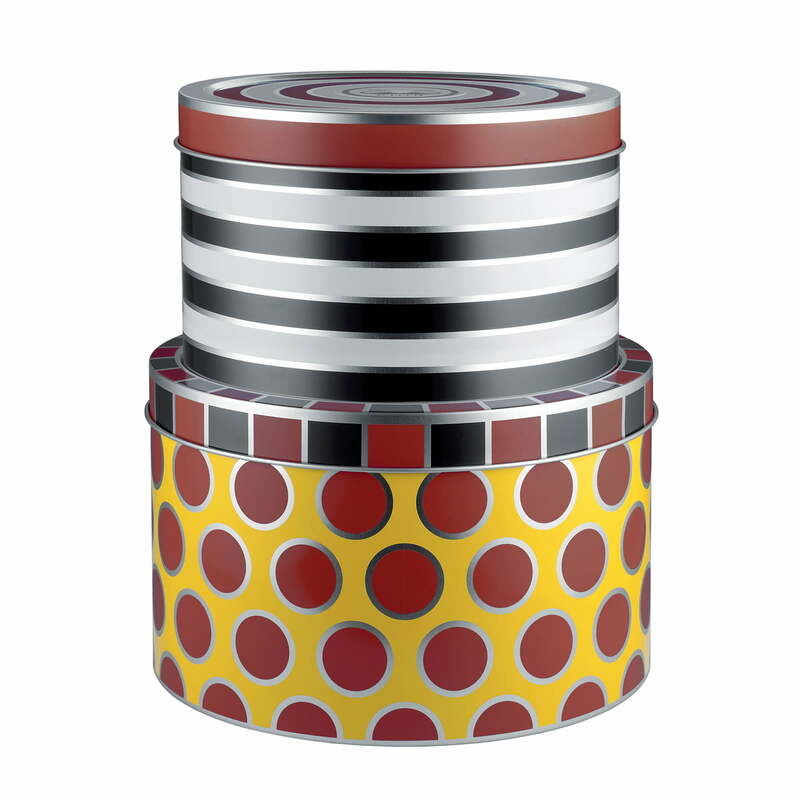 Product image of box 2 from the Circus all-purpose boxes set of 3 by Alessi. The box 2 is the medium-sized box of the set of 3 and is made of tinplate. 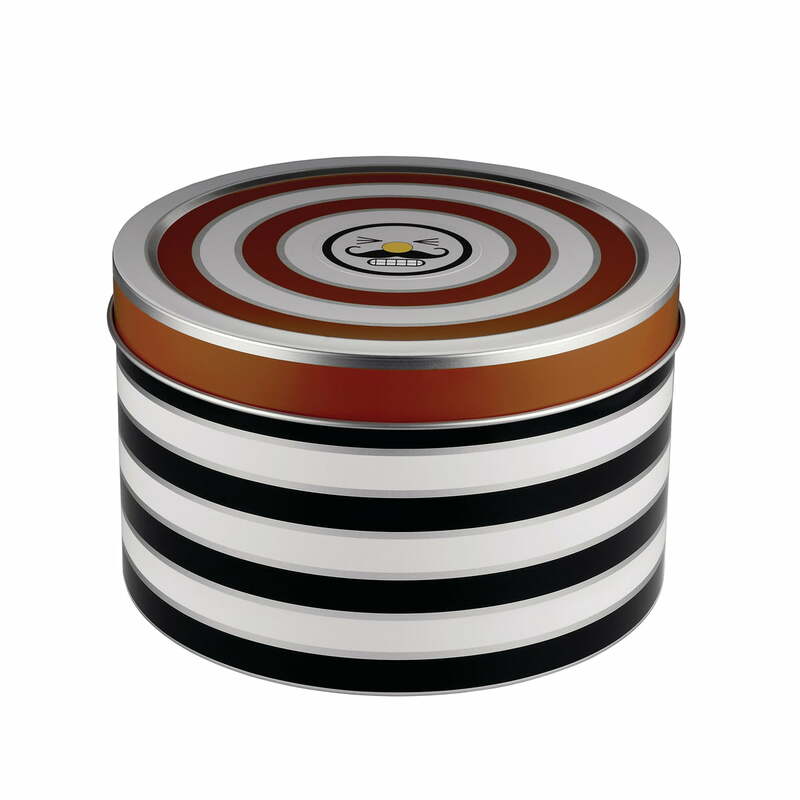 Product image of box 1 from the Circus all-purpose boxes set of 3 by the company Alessi. The colourful box with a pattern in white, gold, red and black. 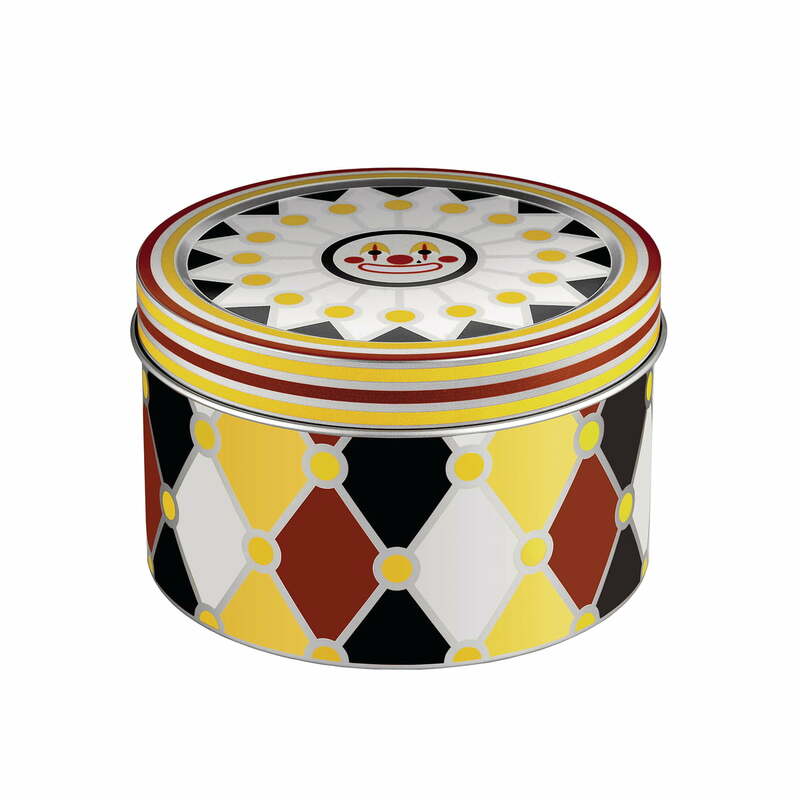 Product image of box 2 from the Circus all-purpose boxes set of 2 designed by Marcel Wanders for Alessi. The box 2 features mesmerizing stripes in white, red and black. 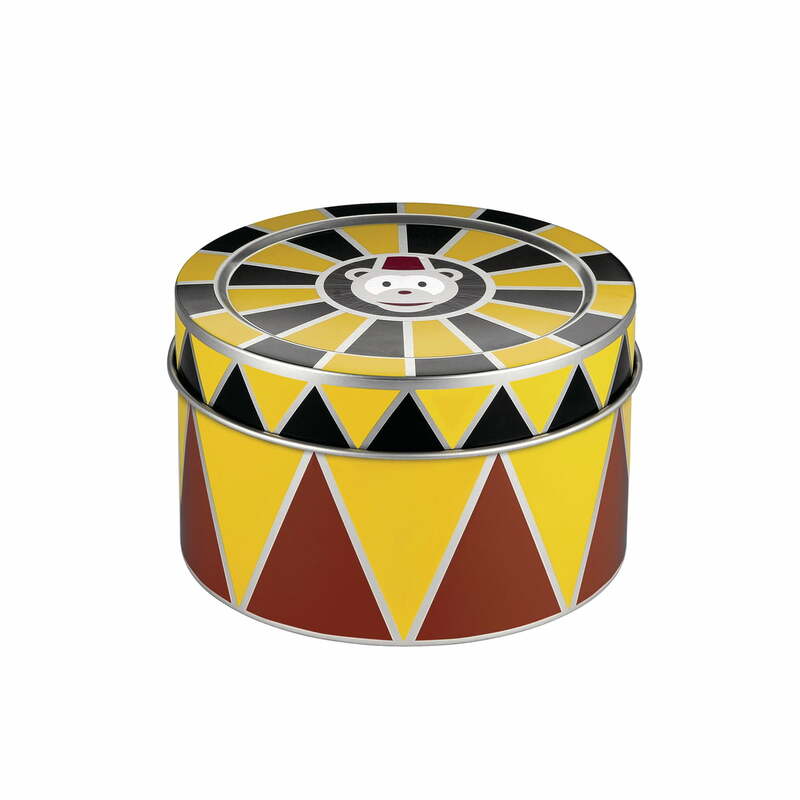 Product image of box 1 from the Circus all-purpose boxes set of 2 by Alessi. The box 1 is the large-sized box of the set of 2 and is made of tinplate. 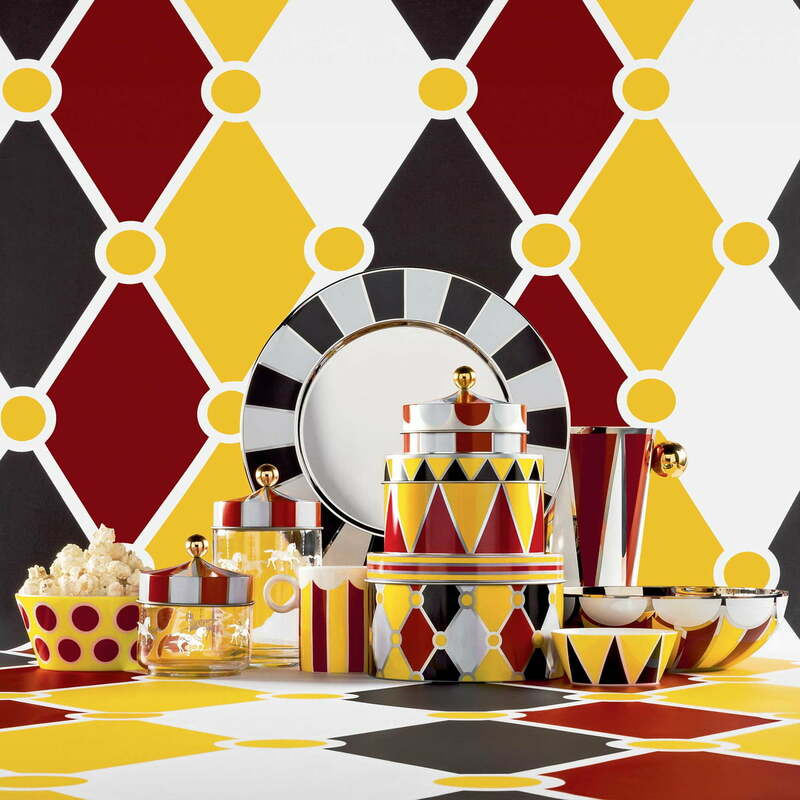 The spectacle and the uniqueness of the circus can be found in the collection by Alessi. Circles, stripes, lozenges and slices remind of costumes, garlands and the circus tent in white, black, yellow, red, and gold. The Circus collection by Alessi includes a colourful selection of bowls, kitchen boxes, all-purpose boxes, trays, plates, ice buckets, bottle coolers and wine coolers.